The United States was downgraded to a "flawed democracy" in a recent index that examined 167 countries. NBC News traveled to the world's top-ranked democracy, Norway, to ask them how it's done. OSLO, Norway — A look of puzzled amusement creeps across Aurora Aven's face when asked if she plans to vote in her country's election, like she's being asked what color the sky is. "It's very strange not to vote," says the 18-year-old, as if stating the painfully obvious. "It's, like, a normal thing." Her eagerness might stand out among America's more disengaged youth. Her country has just been ranked the best democracy in the world for the sixth year running by the Economist Intelligence Unit, a London-based consultancy. The report also downgraded the United States from a "full democracy" to a "flawed democracy" — placing it alongside countries such as India, Argentina and Colombia. The demotion was linked to American voters losing trust in their own political institutions and the role of big-money lobbying. Neither are significant issues in Norway. "There's something about our culture that says it's very important to vote," Aven says, speaking to NBC News at an ice rink in Oslo. "Norway has such a good system, so no one feels left out and no one feels misunderstood. Everybody knows their voice will be heard." Norwegians are automatically registered to vote, and 78 percent of them did so in the last election — 20 percentage points higher than in the U.S. Instead of big personalities with even bigger war chests, the focus here is on how rival political parties can collaborate on policies. The key to Norway's success is the healthy relationship between its people and lawmakers, according to 27-year-old political adviser Torkil Vederhus. "People can feel like they're part of the democracy," he says. "They recognize their politicians as not part of some kind of elite, they're just regular people." At the ice rink, Aven's friend, 17-year-old Mattis Dysthe Lyngstad, thinks the U.S. can learn from his country's cordial culture. "In United States, you have such a different system of democracy — there's a lot of money involved and it's a lot about how big a person you are and if you're important, or whatever," he says. "But in Norway we try to keep it so the politicians don't earn that much money. You do it because you care about the country and the future." Of a similar view is Torild Haustreis, a 56-year-old nurse from Kristiansand, a city 150 miles southwest of Oslo. "Norwegian people are engaged in politics and I think that's very good," she said. "I think the U.S. needs to build its election system again. It's not right the way they have it in the U.S. today." Any comparison between Norway and the U.S. must come with the colossal caveat that these two countries are very different beasts. The Nordic nation is far smaller, both in population and geography. Its 5 million people live in an area the size of Montana that straddles the Arctic Circle. Its government struck offshore oil in the 1960s, allowing it to accrue the world's largest sovereign wealth fund — a $880 billion rainy-day piggy bank. This helped it weather the 2007-8 financial crisis better than most, and it remains one of the richest countries in the world per capita. Furthermore, Norway isn't a member of the increasingly fractious European Union. And despite a recent spike in immigration, it remains much less ethnically and culturally diverse than most countries, meaning the often divisive debate on immigration has not been as prominent until recently. Norway functions as a social democracy, the type of place Sen. Bernie Sanders dreams about. Citizens pay relatively high taxes and the government isn't afraid of spending big on public projects such as schools, healthcare and generous unemployment benefits. While many Americans would balk at this level of government interference, Norwegians are the happiest people in the developed world. The gap between its wealthiest and poorest citizens is far lower than the U.S. — and its people spend far less time at work and more time with their families. "It's expensive but you pay your taxes and you get things out of it," says 18-year-old Nancy Adelaide Hancock, who spoke while visiting Oslo from the Danish capital of Copenhagen. Like much of Scandinavia, her own country has a similar economic system. It's not just taxes and wages that are high. Vacationers are often stunned by the country's wallet-busting prices — upward of $9 for a beer. There are eight political parties in Norway's legislature — instead of just Republicans and Democrats — and the system means none of them can gain power alone. Instead they must try to build coalitions with enough support to form a government. "You have a lot of cooperation between parties in Norwegian politics … and the political debate climate is much milder than in the U.S.," according to Carl Knutsen, a politics professor at the University of Oslo. "I would say [there is] more cooperation and less confrontation." Norway's government is parliamentary, rather than presidential. And the Economist Intelligence Unit says it has better checks and balances than the U.S. system. Although many Americans take pride in their country's separation of power between the president, Congress and the courts, critics say that presidents George W. Bush and Barack Obama expanded their authority so this balance is now tipped heavily in favor of the White House. Stymied by a gridlocked Congress, even many sympathetic to Obama concede that he used executive power to act unilaterally and shape policy at home and abroad — including America's controversial drone-warfare program. President Donald Trump's opponents worry that his flurry of executive orders suggests that he intends to continue this trend. America's slip down the consultancy's rankings had been a slow process. While Trump was not to blame, he almost certainly benefited by "tapping into Americans' anger and frustration with the functioning of their democratic institutions," according to last month's report. Some Trump foes have also criticized an electoral college system that awarded the billionaire victory despite him gaining 2.8 million fewer votes than Hillary Clinton. "Public confidence in government has slumped to historic lows in the U.S.," the study added. "This has had a corrosive effect on the quality of democracy." While the U.S. is still waiting for its first female leader, Norway is now onto its second, Prime Minister Erna Solberg. Women make up 40 percent of lawmakers and the government grants some of the best maternity and paternity rights around. From this relatively serene environment, the partisan theater and bombastic personalities of Washington seem alarming to many Norwegians. This culture clash is perhaps typified by Trump, who has a dismal 6 percent approval rating in Norway. "At first it was kind of funny, now it's kind of frightening and kind of sad," says Ola Schiefloe, a 28-year-old carpenter from Oslo. He was spending his Friday night at Cafe Mono, one of the city's most popular clubs. Although the band, local outfit Aiming for Enrike, are at times raucous, Schiefloe prefers his politicians to be less so. "I think Trump's a bit too much of an alpha male to be popular among Norwegian voters," Schiefloe says above the din of roaring guitars. Politicians in Norway are not as well paid as their American counterparts and most live a more modest, low-profile existence. The basic pay for U.S. senators and representatives is $174,000 — compared to $108,000 in Norway. Many Norwegians just can't shake the feeling that America elected "a reality star as president," according to Silje Ljødal, a 25-year-old barista. "It's just a reality show, the whole thing," she adds in disbelief. Opinion seems to be just as scathing outside the city of Oslo. Annette Dahl, a 26-year-old hunter from Norway's rural Telemark region, says U.S. politics "seems like a circus to me. [Trump] seems like kind of clown, you know? The way he talks and the things he says, it's hard to take him seriously." Many are just as worried about Trump's substance as they are his style. Despite almost 4,000 miles between them, Norway has always enjoyed a partnership with the White House and was one of the first nations to join NATO in 1949. Its inhabitants can be forgiven for paying particular attention to Trump's foreign policy pronouncements; they have skin in the geopolitical game in the shape of a 120-mile border with Russia. Just last month, hundreds of U.S. Marines landed in Norway as a reassuring presence against Moscow's saber-rattling. But under Trump, many Norwegians say his comments undermining NATO as "obsolete" have made them feel nervous. Norway is also one of the countries Trump has criticized for not paying the recommended 2 percent share toward the alliance's upkeep. "It's kind of scary because we share a border with Russia, and we've got Putin … turning quite aggressive," says Schiefloe, the carpenter. "The world is going to change, I hope for the better but I fear it's going to be quite bad," adds Tor Bomann-Larsen, a 65-year-old writer from Drammen, a city 25 miles from Oslo. "We've never seen anything like Trump before, it's something quite new and the world is shaking." Norwegians also worry about man-made climate change, something Trump has repeatedly labeled a hoax and once even suggested was a conspiracy invented by the Chinese. His claims go against scientific consensus, but they also threaten Norway's delicate ecosystem, where the northern ice is crucial to the symbolic survival of polar bears and other Arctic creatures. "If I met Donald Trump I would invite him to Svalbard, in the high north, and I would show him what the climate change is doing to our environment," Norwegian Local Government Minister Jan Tore Sanner told NBC News during an interview in the country's Parliament building. Like others in his government, Sanner says he is optimistic about working with America's new leader. Asked about Trump's environmental policies, however, and his tone changes slightly. "The ice is melting," he says. "The climate is changing the way we can the can live in the world." While the statistics and anecdotes may make liberal hearts flutter, Norway is far from a leftist utopia. Its current government is led by the Conservative Party and includes lawmakers from the right-wing populist Progress Party, which wants to slash taxes and immigration amid a migration crisis that has gripped Europe over the past three years. And of course not everyone here agrees that Norwegian politics is all that great in the first place. "I don't feel we have the best democracy in the world," says Steinar Vetterstad, a 67-year-old former construction worker from the town of Hokksund. "There are a lot of things that aren't right." He has lived off disability benefits ever since he was injured at work. Symptomatic of the global populism that helped Trump into the White House and Britain vote for Brexit last year, Vetterstad used to support the left-wing Labour Party but in 2013 switched his vote to Progress. "It is the politicians in Oslo ... don't represent the people anymore ... [they're] just politicians in suits," he says. That there is such healthy debate in Norway betrays the violence in its recent past. Less than six years ago its democracy came under direct attack. On July 22, 2011, white supremacist Anders Behring Breivik detonated a car bomb among Oslo's government buildings. Wearing a police officer's uniform, he then drove to the island of Utøya, around 20 miles away, and began shooting children staying at a camp run by the left-wing Labour Party. In all, he killed 77 people. Sanner, the member of Norway's Cabinet, took NBC News to the site of the car bomb. "It was an attack on Norwegian democracy and ... he killed a lot of young people, young people who were engaged in politics," he says, looking out over where the blast occurred. "They were 16 years old, 18 years old. They just started to be involved in politics and they lost their lives." Breivik is now behind bars and the democracy he attacked endures. But while the U.S. went to war after 9/11, Norway received plaudits for its calm response. "We are still shocked by what has happened, but we will never give up our values," the then-prime minister, Jens Stoltenberg, said in a speech at the time. "Our response is more democracy, more openness, and more humanity." Likewise, Sanner sees that dark chapter as a stark warning of what happens when democratic principles are disregarded. "We didn't think it could happen here but it happened here," he says. "So that shows we have to have an open society, a democratic society, and we cannot take it for granted." 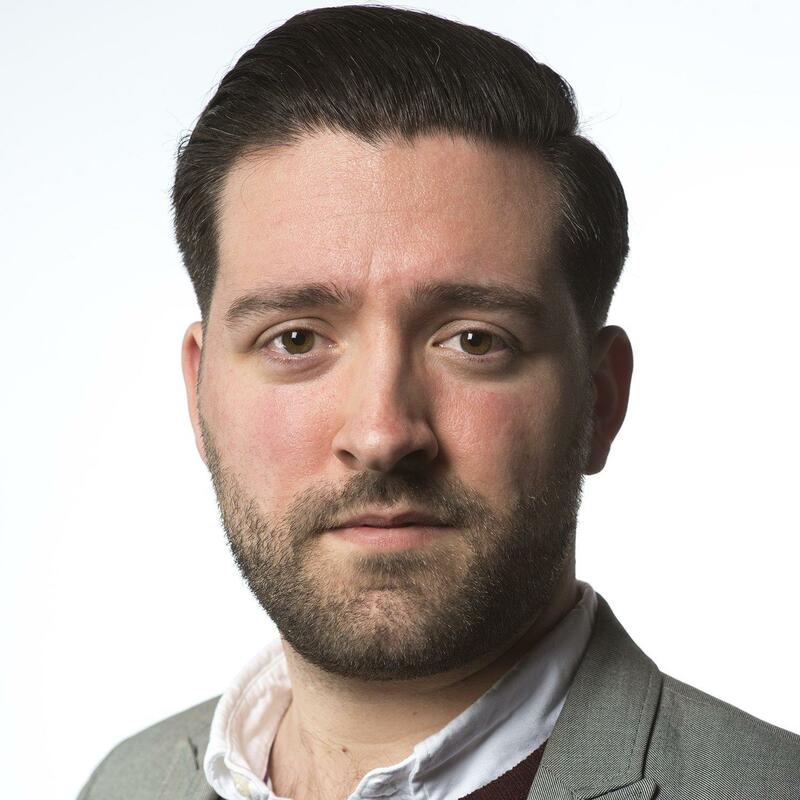 Ben Adams is a London-based journalist with NBC News.